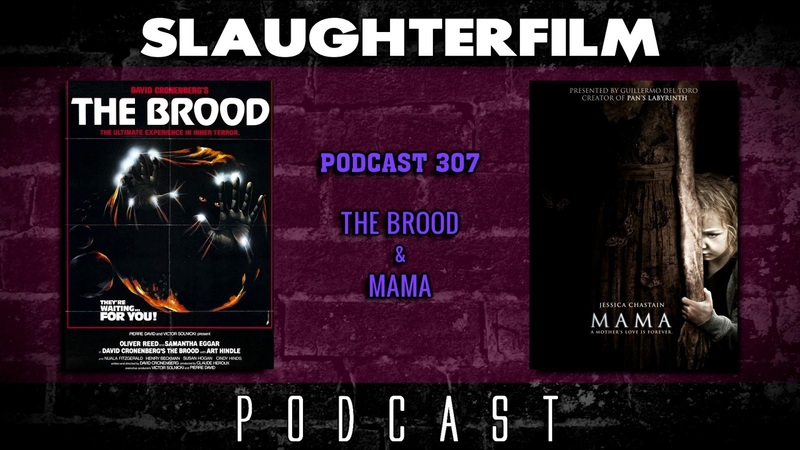 This week the Horror Duo take a look at a pair of films about motherhood, in time for Mother's Day. Forest discusses David Cronenberg's disturbing The Brood. Cory takes a look at a more recent ghost story, Mama, starring Jessica Chastain. Cory shares some thoughts on Jurassic World, in typical fashion (three years since it hit theaters). Forest also chats about the grim nature of the most recent Avengers flick and how old people are old, and shouldn't be allowed in public spaces. All this and together Forest & Cory ask a few very important questions; "Do ghosts know they are ghosts?" and "Are Forest & Cory in fact ghosts?". For more Slaughter Film news and reviews, as well as show notes and special events, make sure to visit our website; SlaughterFilm.com.